Warrington Museum & Art Gallery wanted to know whether Theodor Alexander Weber (1838–1907) rather than Thomas Weber, painted 'Wreck on the Kentish Coast'. They compared the two signatures and admitted they looked similar, but with only have the donor's confirmation to go by, the collection wanted further clarification. The Stirling Smith Art Gallery & Museum supplied Theodor Weber's signature taken from a painting in its collection. Andrew Greg confirmed that he was fairly certain that Warrington's painting is by Theodor Alexander Weber or at least bears his signature. Osmund Bullock turned up some further signatures for comparison, and agreed that the work had been signed by Weber. Warrington Museum concluded that the painting is likely to be the work of Theodor Weber and have adjusted their catalogue accordingly. 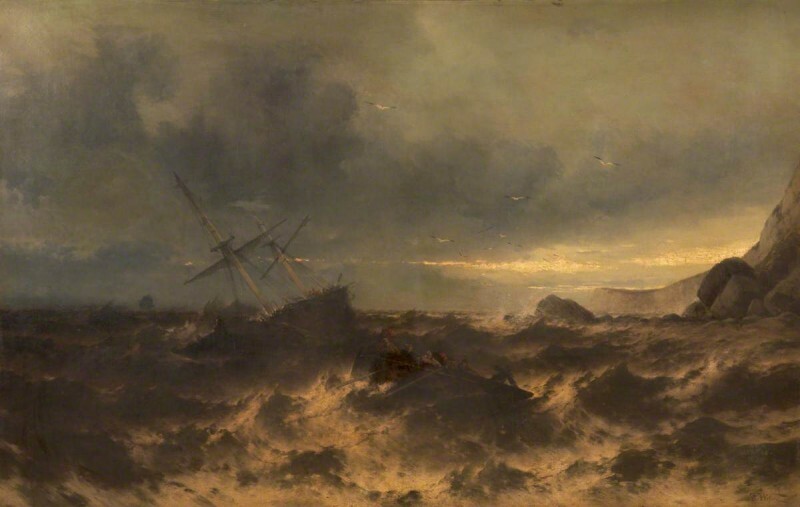 Did Theodor Alexander Weber (1838–1907) paint 'Wreck on the Kentish Coast'?